1 edition of The annals of Manchester found in the catalog. Add another edition? Are you sure you want to remove The annals of Manchester from your list? 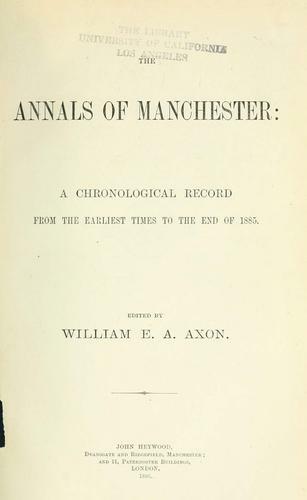 a chronological record from the earliest times to the end of 1885. Published 1886 by J. Heywood, Deansgate and Ridgefield in Manchester, London .